Having said their good-byes to the mysterious elven knight Kizmel, Kirito and Asuna set their sights on the fourth floor of Aincrad. But once they open the door, they find the way forward blocked by a powerfully flowing river. The updated version of the fourth floor has been changed into a water world! When they finally arrive at the floor’s town, they’re greeted by chalk-white streets and countless gondolas of all sizes. To navigate this place, Kirito and Asuna will need their own gondola–but getting one will involve confronting an eight-meter-tall beast of flame: Magnaterium…And that’s only the beginning of the difficulties the fourth floor of Aincrad has in store! 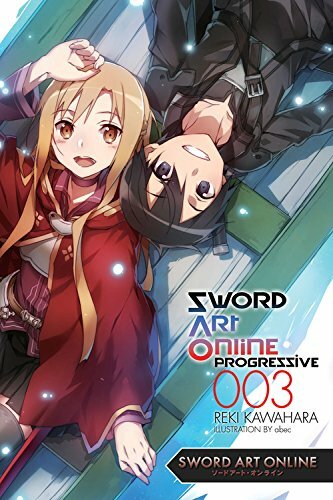 Sword Art Online: Progressive, a new version of the Sword Art Online tale chronicling the entirety of Kirito and Asuna’s epic adventure through Aincrad, continues!